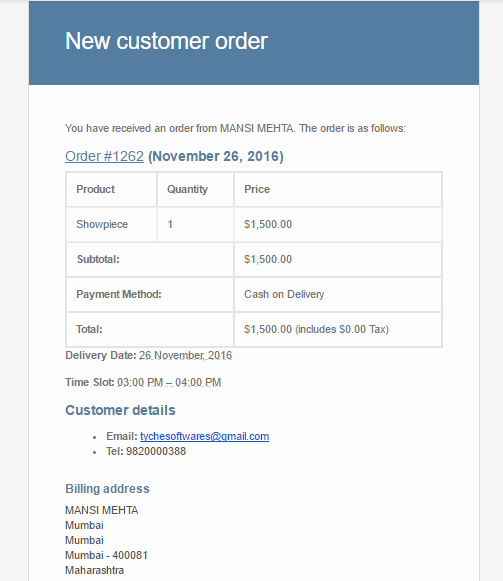 Update [25 May, 2017] – This post was written back in November where we discussed how you can include Delivery Date and Time in WooCommerce notification emails from Order Delivery Date Pro for WooCommerce plugin. Today we have an updated version where email notifications are sent by default without having to set it manually. This feature is useful for all the businesses which accept the delivery date for the orders and they want that the email notification sent to the customers have the Delivery Date & Time which they have selected. These notifications are sent to both Admin and Customers. This process of sending delivery date and time details to the admin and customers via email notification is now set as a default behavior, thereby reducing the effort put by the admin in enabling settings for their businesses. To set up sending email notifications, go to Order Delivery Date -> General Settings -> Date Settings. To include the Delivery Date & Time in the notification emails which are sent to the customers as well as the administrator, you need to check the checkbox Show Delivery Date in Customer Notification Email. Once the checkbox is checked, the delivery date and time will be included in the email notifications sent from the WooCommerce. 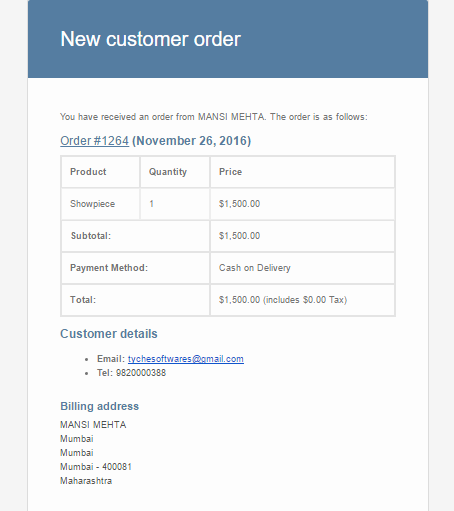 If this checkbox is not checked then the selected delivery date and time details will not be displayed in the email notifications. In this post, we saw the earlier procedure of setting delivery date and time in email notifications sent to the customers from WooCommerce and that this is now updated and set as a default behavior, in turn reducing hassles for admin and their businesses.